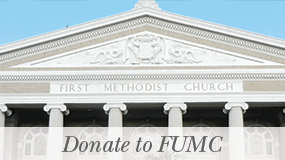 First United Methodist Church is a loving, welcoming, mission-oriented, and progressive church located in downtown Austin, Texas, next to the State Capitol. We are seeking a Director of Children’s Choirs. 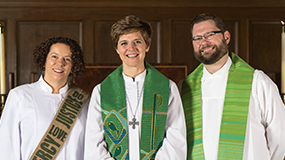 The ideal candidate will be dynamic and encouraging, possessing a passion for children’s voices, their training and their engagement in the community and the worship life of this United Methodist Church. Further, this person will have training and experience in vocal pedagogy for young voices, excellent written and verbal communication skills, United Methodist Liturgical Worship practice and polity, and will understand and be able to teach the role of music within the context of worship. The Director of Children’s Choirs will redevelop the entire program in alignment with the Choristers Guild Sacred Music program. This is a part-time, salaried position that reports directly to the Director of Music. Additionally, the Director of Children’s Choirs will work in conjunction with the Director of Children and Family Ministries regarding non-worship scheduling, recruiting, and all church-wide communications for our children’s choirs. The Director of Children’s Choirs plans, prepares, and leads the children’s choirs of First United Methodist Church in a manner that is consistent with the church’s vision and the direction of the music program. A paid assistant position is also in place, but the candidate will develop a new program budget to support the children’s choirs. BM or BME degree (preferred). Non-degreed candidates might be considered. 3-5 years experience and demonstrated success in vocal/choral pedagogy, especially the young/developing voice (preferred). Knowledge of United Methodist Liturgical Worship practice, history, polity, and hymnody. To view the full job description in a printable pdf, click here. If you have questions, please contact Emily Buchanan, the chair of our search committee, at emily@fumcaustin.org. To apply, email a cover letter, resume and three references to the same address.